Maria Odalis Gonzalez, D.M.D. has practiced in Miami since graduating from the University of Florida in 2001. 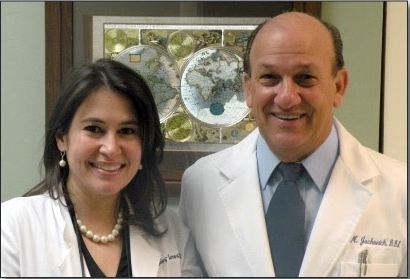 She joined Dr. Jockovich’s practice in 2006 as an associate dentist and took over the practice in 2013. We work as a team and offer personalized care in a modern, technologically-savvy facility including digital x-rays. Our surroundings are designed to soothe, and our friendly team always gives you state-of-the-art service. Our conveniently located office serves the residents of Miami, Florida and surrounding areas. We provide comprehensive dentistry at our dental practice. During your first appointment with us, you’ll receive a detailed oral health assessment. We’ll discuss your dental concerns, and work with you to create a treatment plan that suits your budget and your schedule. We want to help you reach your smile goals! Expect courteous service and comfortable treatments at our office. We can restore your oral health and beautify your smile with a wide array of preventive, cosmetic, and restorative dentistry options. For example, we treat gum disease with periodontal therapy, replace missing teeth with dental implant restorations, and straighten crooked teeth with invisible Invisalign clear braces or Six Month Smiles.